Goodbye, unwanted hair. Hello, smooth skin. Women and men alike are searching for a way to reduce the time spent on caring for their bodies, making traditional hair removal techniques; shaving, waxing, and bleaching cumbersome and ineffective. Visage Dermatology has several laser treatments at their disposal to help with the treatment of skin overall. 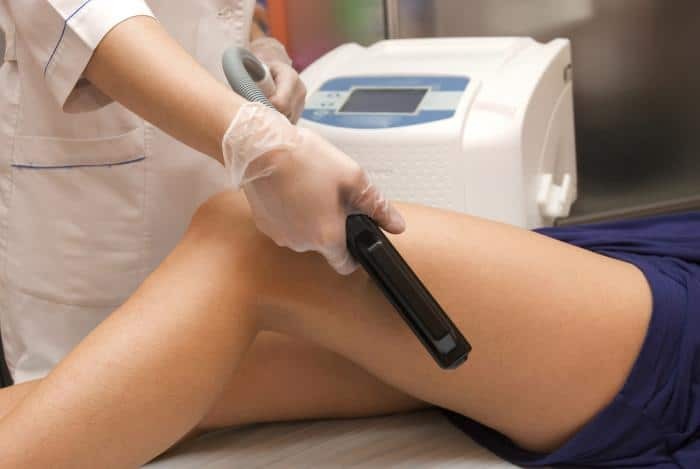 Q: Will laser hair removal work on me? Laser hair removal will on work on shades of brown or black. Does not work for blond, red, grey/white or vellus (peach fuzz) hairs. Blond or red hairs have different pigment than melanin. Lasers target melanin which is the pigment found in black/ brown hair. Laser will only work on actively growing hair. Hair develops in 3 phases: anagen (actively growing stage), telogen (resting stage), and catagen (falling out stage). Most hairs are in “resting stage” 80-90%. Hairs that are actively growing are about 20-30% at most. This is why it takes more than one treatment. It is recommended that everyone has AT LEAST 6-10 TREATMENTS done at a 4-6 week intervals. Q: How long your treatment lasts? The length of the treatment depends on the size of the area being treated. Treating the upper lip takes minutes. If you are having a large area like the back or legs treated, your treatment may last 15 to 30 minutes. Laser feels like rubber band snaps. Certain areas like the upper lip and bikini area are very sensitive. I recommend the patient use a topical numbing cream one hour prior to treatment. Please do not pluck, wax or use depilatories on the treatment area 2 weeks before your first treatment. Please do not apply any body lotion to the treatment area prior to each procedure. Do not pluck, wax or use depilatories between treatments. You may shave the area between treatments. Please shave one to two days prior to the treatment and not on the day of treatment. It is necessary to see only a slight growth of hair on the day of treatment. You can expect some red bumps that are temporary after treatment. They last about 20 minutes. The skin will feel a little sensitive and warm. Some people describe it as a razor burn feeling. Use cool to lukewarm water to shower that day. Do not shower with hot water. Do not apply any creams, etc. to the treated skin for the next 24 hours. Ingrown hairs sometimes occur after the first or second treatment, especially in the bikini area. These will eventually go away with subsequent treatments. Q: How long before I notice a significant difference? You will not notice a significant difference after the first or sometimes second treatment. After the first treatment hairs will look like they are still growing, but after about 2 weeks they will just fall out and look like patchy hair growth. The hairs will also grow back thinner and finer with each treatment until they are hardly noticeable. This is considered PERMANENT HAIR REDUCTION. On average, each laser treatment will be associated with some permanent hair loss. So, in most cases hair removal can only be achieved after several treatments. The number of treatments will depend on each patient’s individual response to laser surgery, and the amount of hair to be removed. Many people are happy with a reasonable degree of hair reduction. Also remember the hair that remains is often lighter in color and thinner than the original hair prior to laser surgery.